Crane manufacturers are increasingly looking for customised components. P.P. Basistha takes a look at the varied levels of product customisation by the vendors for OEMs. Components manufacturers for cranes are carrying out engineering advancements to make the products optimally suitable to the indexed applications. Benchmarking the products by setting individual standards by the OEMs is also behind the requirements for tailor made products from the vendors. The other factor, driving demand for customised products is to deliver total lifecycle costs to the main product owners and users. "Our engineering centre in India is the fastest growing division in our business. This division is optimally catering the responsibility of designing and preparing products based on the individual requirements of the crane manufacturers," says Mr Kennady. V. Kaipally- Country Manager, Mobile and Wind Solutions, Bonfiglioli India. Bonfiglioli is in a unique position to offer solutions for both fixed & mobile cranes. It supplies gearboxes for applications of swing, trolley and winch drives to major tower crane manufacturers like Potain, Liebherr, Action Construction and Anupam for their tower cranes manufactured in India. Along with these gearboxes typically run on electric motors, it supplies products for mobile cranes using hydraulic motors. These would include track, swing & winch drives for the crawler and wheeled cranes. Meeting the ever changing critical performance criteria of crane manufacturers involving speed, gradients, lift capacities, duty cycles, braking requirements etc. coupled with constraints in terms of Dimensional and hydraulic requirements in addition to cost is a major challenge for components suppliers. However, Mr. Kennady reckons, "Our job as a solution provider is to work under these constraints to achieve the best possible performance for the machines backed by our R&D centre at Chennai. The centre works closely with OEMs to provide most appropriate solutions, some of them specific for Indian market, offering the best value proposition." The process for designing gear boxes and drives for cranes systems by Bonfiglioli takes various varied parameters into account. These includes, compactness, efficiency, lifting capacity, speed, braking requirements and field conditions in which the cranes will work. According to Mr. Kennady, "We have an elaborate selection process. This starts with our questionnaire and aims at capturing all the essential application details including hydraulic, mechanical and duty cycles details, required for selection of an appropriate solution. Next phase of the process involves, selecting the solution and theoretically simulating the machine performance. In case of customer specific requirements, we validate our designs by carrying accelerated life tests. Validating our drives in the field and testing them under actual running conditions is an important step in this process. After the testing is completed, the gearbox is returned back to our facility and a strip down analysis is carried out. Only when the drive has met the expected criteria of performance, the concluding step of this process the application sign of with the OEM takes place. It is only after all the necessary processes are followed and precautions taken, the drive is released for mass production." Bonfiglioli Transmissions is a fully owned subsidiary of Bonfiglioli Italy having its R&D and manufacturing facilities in Chennai which caters to the requirement of Indian subcontinent and exports 30 percent of the products to the world markets. Italian component manufacturing major, PMP offers travel drives for crawler cranes between 40-160 tons in the Indian market. 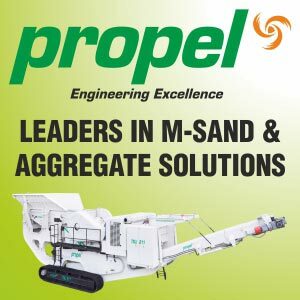 According to Mr. B.Sivasankar, General Manager Sales & Marketing, India & Middle East, PMP, "We manufacture the drives based on the technical inputs received from the original equipment manufacturer, like gradient, Duty cycle time of the crane and loads are taken into consideration while designing the travel drives. The vital competitive attribute of our travel drives is that they come with integrated motor gear box and with the inbuilt Smoothness Valve, which ensures a jerk free operation with smooth start and stop of the machine." PMP supplies its travel drives to crawler cranes manufactured by ABG Cranes, and the company is also in talks with other manufacturers like Kobelco, ACE for supplying its drives for their crawler cranes, manufactured in India. Co engineering is also emphasized by NLMK for producing specialized steel for cranes. According to Mr. Nitin Kumar Gupta, MD, NLMK India, "Our product research and development is based on extensive data gathering from actual use cases and specific requirements of end users. We produce high value-added steel at our mills, adhering to strictest quality standards. This is based on the product specifications shared by the OEMs. Based on the requirements of the OEMs to have minimal wear and tear of the equipment and its attachments, we supply steel that matches the carbon content requirement. One of the vital aspects of our research and development is to supply material that reduces the dead weight while maintaining or improving payload bearing capacity. Maintaining lowest weight of steel to power ratio of the machinery is a growing requirement of the crane OEMs globally to deliver higher productivity." "We verope AG provide technical auditing support though our technical team based in Switzerland and Germany. Our auditing team audits the cranes followed by suggestions to the crane owners and provide the right rope recommendation that will be best suitable for lifting equipments. The team also studies the Rope application and provides right rope recommendation if the ropes requires replacement. In case of any damage caused to the ropes, the team studies the possible causes for the same as well and suggests right measures for avoidance of the causes, which may have led to the damage. We also provide supports towards upgrading the ropes based on requirements, "mentions Mr. Parveen Kishan Gupta, Country head, verope India Sales. Verope AG supplies its special steel wire ropes to Liebherr, Zoomlion, Jaso, Kalmar, Terex, XCMG, Yongmao, Linden Comansa, Palfinger, Sany, Sennebogen, Bauer, Casagrande, And Soilmec. According to Mr. Gupta, "The special steel wire ropes of verope AG scores much above the lifetime than the general purpose wire ropes, which are used by the cranes owners both in the corporate and rental segment. The advantage of the special steel wire ropes is that they highly score on durability, reliability, and safety. This is owing to the geometry, advanced metallurgy and plastic impregnation, based on the design support from our research and development centre in Germany. This makes our special steel wire ropes to work in tough climatic and working conditions." He continues, "Durability of the wire ropes as compared to the general purpose wire ropes are characterized by high structural stability, resistance to abrasion, high breaking strength and superior non-rotation resistant. This feature goes on to increase the life of the crane ropes which is the prime consumable of the cranes, thereby cutting down the recurring expenditure of the cranes owners to replace the wire ropes, due to breakage and abrasion." Wylie manufactures two variants of load moment indicators for cranes. One is pressure indicator and the other is tension indicator. The first calculates the loads exerted on the crane through pressure based mechanism while the second does the calculation on tensioned based mechanism. The load indicators can be fitted in all class of mobile cranes. It can also be custom fitted into hydraulic and mechanical crawler cranes and as well as tower cranes. The indicators automatically calculate the load based on the formula fitted in them displaying on the screen of the indicators. The settings are done accordingly in Wylie's load moment indicators based on the rated lifting capacity of the cranes. The settings are also matched taken into cognizance varied dynamic operational behavior the crane is well likely to undergo while undertaking the lifting jobs. This includes, stress, duty cycles, hydraulic pressure. Mr. Nehul Gullaiya, Head Operations, Wylie Indicators, explains, "The ability of the indicators to display the accurate loads is actually based on our exclusively formulated intellectual property right calculations." He adds, "While the calculations provide highest level of accuracy of the loads, we partner with crane OEM's to ensure that the readings are optimum based on the operational features and lifting mechanism of the cranes." Wylie's OEM clients includes, Tractors India Limited, Escorts Construction Equipments. It has also provided its load moment indicators to L&T, ACC, Aditya Vikram Birla for their fleet of mobile cranes. Some of the prominent features of the load sensors includes, basic LMI functionality, optional anti two block, data logging, printer, lateral tilt sensing, swivel display, back lit LCD for night operation, graphic LCD display. According to Wylie, some other competitive features of the load moment indicators includes, instantaneous indications for SWL, hook load, radius boom length, boom angle, boom tip height, duty, falls, duty description and warnings indications. The indicators has output for motion cut and alarms and on board push button calibration. The indicators are CE certified, enabling them to work in harshest work site environs, according to the company. The load moment indicators, based on its operational features allow the crane operators to monitor the load limits, so as to avoid any operational hazards during lifting and erections. While there is growing emphasis by the crane components manufacturers to tailor make the products based on the OEMs requirements. However, it will be pertinent to offer commensurate, customized services in terms of parts repair, maintenance, and replacement to the OEMs.